The Writing Bug: What Kind of Reader Are You? Recently while wasting time doing research on Pinterest, I stumbled across an interesting blog post about the 4 different types of writers by K. M. Weiland. Weiland bases these categories on the popular choleric, melancholic, phlegmatic, and sanguine personality types. I pegged myself immediately and then felt a niggle of jealousy that I was not the melancholic personality that is, “arguably the most talented of all the personalities. They often have a natural bent toward artistic expression, including writing.” However, they are usually wracked with self-doubt and an inability to function in society (I guess it’s a trade-off). 1. The Escape Artist: This reader picks up a book to escape the troubles or monotony of their daily life. While there may not be any catastrophic tragedy looming in the background, maybe a 9-5 job is wearing a mid-lifer down and he can’t wait to read that exciting political thriller set in a dystopian future. Or perhaps a young mother feels her brain is slowly draining away in the midst of diapers, bottles and nasal aspirators. When the baby is napping she dives into a tome of ancient pre-Celtic history of Western Europe to revive certain parts of her brain. Whatever the motivation, these people need a release from their present reality and books help them find it. 2. The Artsy Fartsy Pants: These readers are quick to let everyone within shouting distance know what’s on their nightstands (hint: you probably won’t find it on the New York Times Best Sellers list, but it has amazing reviews). Caught up in the trend of the moment, they will be able to drop names, philosophical jargon and literary references like shiny necklaces at a Mardi Gras parade. You can either nod and smile or display your ignorance as they wax lyrical on books everyone feels like they should read, but usually pass by in favor of lighter fare. But be patient with them for as long as you can. At least they’re talking about books and not their latest vacation or new Pella windows. 3. The Student: It’s easy to put some folks into this category—school age children struggling through their first round of the classics or university kids with $100 books in their area of study—but most of us are life-long learners. We continue to read and grow both in our career and areas of interest. When I moved to Colorado and tried to flex my green thumb (which had performed pretty effectively in other locations), I quickly realized I knew nothing about gardening in a high altitude, semi-arid region. My library reading list quickly expanded from escapist chic-lit to Sunset gardening manuals, fascinating neo-hippie penned guides to urban homesteading, and Horticulture Magazine. With this knowledge I developed an informed passion for the begrudging soil and rewarding landscapes of the Colorado area. 4. The Pilgrim: This is the best reader (it’s my blog post, so I get to be biased. Besides we’ve all been Pilgrims at one time or another). The Pilgrim is the reader who connects with a book that touches a part of his or her soul. The truth discovered in pages draws this reader into a community that transcends this moment, this time. Children often find this in a fairy tale that resonates with them in their innocence and yet continues with them as a crossroads moment throughout their entire lives. Adults may find it in a book of astounding beauty or triumph that touches their soul and gives them hope to continue on in the hard slog of daily life. Wherever Pilgrims find their truth, they become so connected to their books, it’s almost like a love affair. One that will last a lifetime. The truth is, most of us will be all these readers at different moments in our lives. Despite my jabs, I love any reader I stumble across, even if I have never heard of the series they’re obsessed with. Books are our shared passion, so how can we not be kindred spirits? What kind of kind of reader would you classify yourself as (at the moment)? And what’s on your nightstand to prove it? Great post! I like all the choices, but it's most fun to be an escape artist. Right now, I'm a book club reader, which could fall in any of those categories depending on the book. At this moment I'd probably qualify as the Artsy-Fartsy Pants, though that isn't my norm. But the last book I read was THE GIRL WITH THE WHITE FLAG, a memoir of a six-year-old girl lost on the Okinawa battlefield, surviving after weeks of battle which killed 100,000 civilians and as many soldiers. So I guess right now I can play hipster-smart. Usually I'm probably #1 or #3! 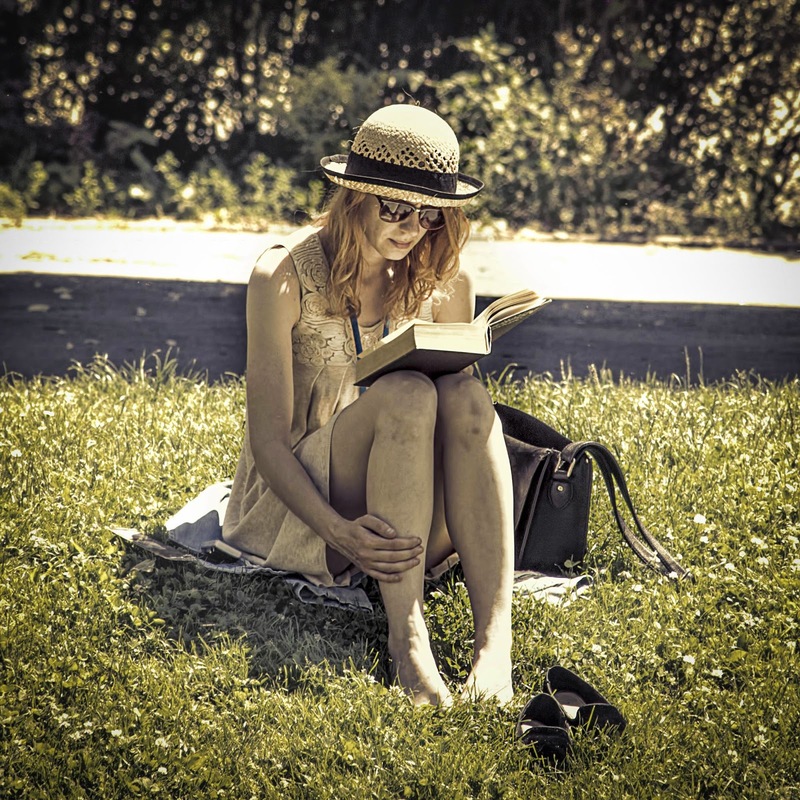 Great post, Kelly!Currently, I'm a book club reader, like Jenny. I'm reading The Rosie Project. Usually, I fall into the cracks between the Escape Artist and the Pilgrim. As a Pilgrim reader, I find the most enjoyment from that. If I am in a place where the outside is available for life to teach me in that "heart" place, I'll take a book to get me there.